At Dine we like to deliver a level of service that we call ‘The Dine Difference’ – and that means constantly innovating to stay ahead of the game. 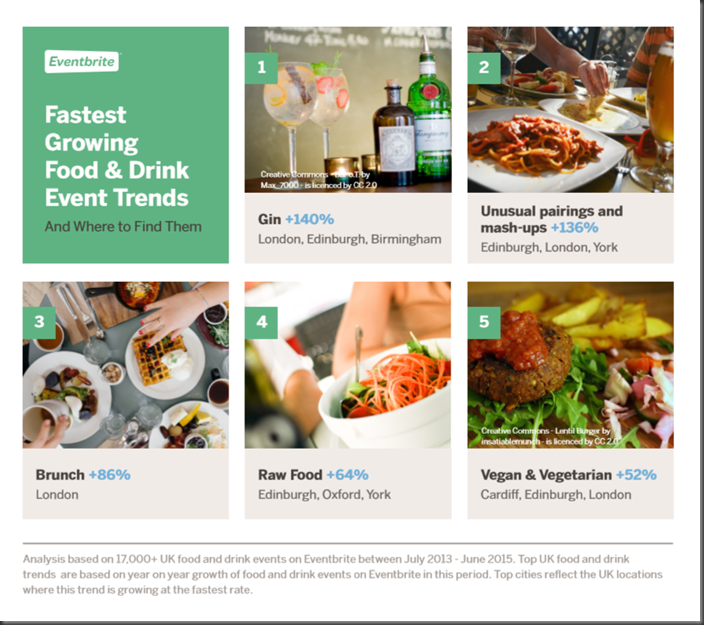 Analysis of data from more than 17,000 events to uncover the hottest food and drink trends from the past 12 months by Eventbrite has made one thing clear: Brits’ tastes are getting more adventurous, with increasing numbers looking for new ways to experience what they consume through events. At Dine we like to deliver a level of service that we call ‘The Dine Difference’ – and that means constantly innovating to stay ahead of the game in the creative food and service industry in which we operate. Here a just a few examples of how Dine are already implementing key trends across our menus at a range of event types. However, we like to create trends rather than follow them, and will happily work with our clients to deliver a menu that’s completely new and bespoke to their requirements. Five years ago a standard buffet would comprise carb heavy, energy sapping sandwiches and pastries, but Dine’s offering is far more dynamic. We work with clients like the NHS to devise high energy buffet menus, which look and taste nicer and seek to boost diners’ energy levels. Watch out for Dine’s beautiful Mini Greek Salads, which are colourful, fresh and satisfying including caper berries, purple spring onion and mini yellow and red tom berries. Delicious! Our anticipated Bonfire Night menus include a really hearty duck dish finished with sloe gin and a juniper berry jus. On trend and unexpected! For a fresh and colourful pairing, try our Yellison goats cheese, with beetroot jellies, peashoots and white balsamic dressing. We prefer our innovative bowl food menus to an all you can eat brunch, keeping the party mobile and intimate. If if’s breakfast you are looking for, our favourites include our Mini Eggs Florentine with mini muffins, Hollandaise sauce, quails egg and baked spinach or a light kedgiree in mini glass cups. Rather than dull “veggie” options, we have always aimed to serve good food that just happens to meet the criteria for all guests, whether they request a specialist menu or otherwise. Contact us to see how we can work with you to make your next event special.